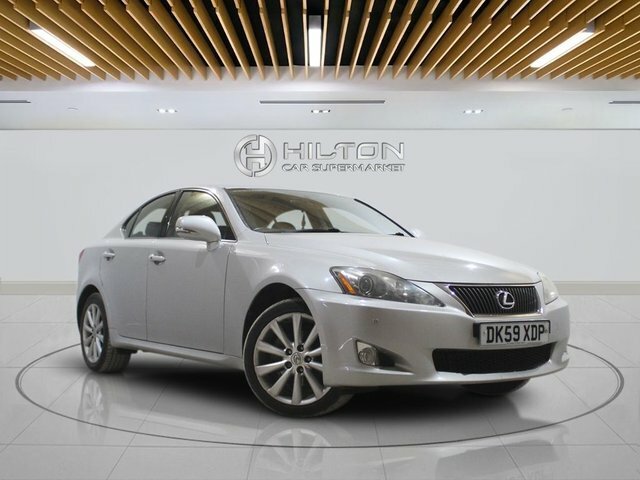 Offering a superb balance of elegant styling, interior refinement and dynamic performance, the Lexus IS is a must-view car for any driver who's in the market for a luxury compact saloon. The model adopts a frim stance on the road and its bold lines have no trouble grabbing attention. The well-built cabin is comfortable and packed with innovative technology, while the model's petrol and hybrid engines offer thrilling performance while keeping CO2 levels low. At Elite Automotive Ltd T/A Hilton Car Supermarket you'll find a great choice of quality used Lexus IS models for sale in Leighton Buzzard. Feel free to browse our complete stock of cars here on the website before contacting a member of the team to arrange a test drive.